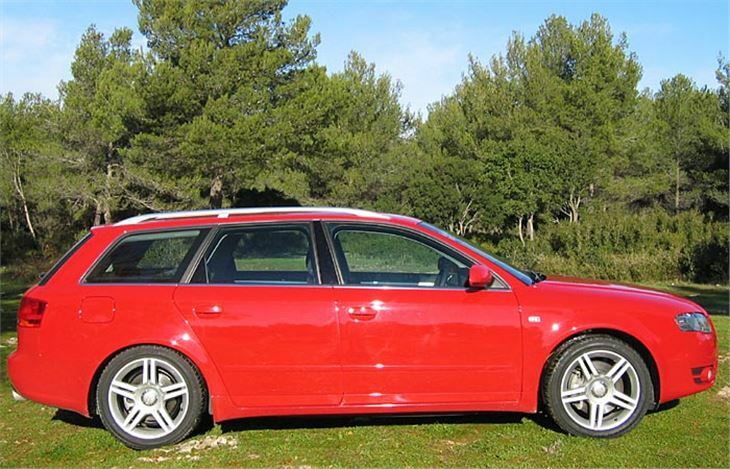 In September 2004 I lucked into a cancellation for first drive of the 2005 LHD Audi A4 B7, before even its official launch at the Paris Motor Show. On that occasion I got to drive a 2.0 TDI 140 6-speed manual Avant and a 3.2 V6 petrol Multitronic, both front-drive only. Now I’ve driven three more of the new range: the 2.0 130bhp petrol Multitronic Avant, the 3.0 V6 TDI quattro Tiptronic Avant, and the car in the photos: the 2.0 FSI Turbo petrol quattro 6-speed manual Avant. So this missive kicks of with updated old copy, then runs onto driving impressions of the three other cars. 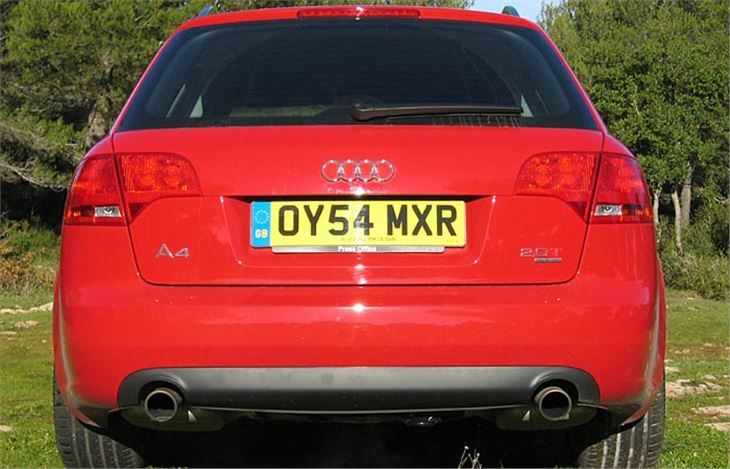 As you can see from the photos, the A4 has been completely facelifted. 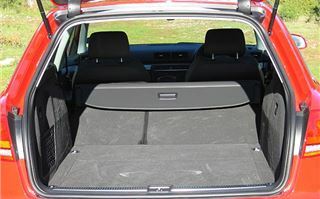 And this isn’t simply window-dressing, because under the bonnets are four new engines: an all new quad chain cam 255bhp 3.2 FSI V6 petrol; the new 200bhp 2.0T FSI petrol engine shared with the Golf V GTi; the quad-chain-cam 3.0 TDI V6 shared with the A6, but de-tuned to 204bhp; and the 140bhp 2.0 TDI shared with the Golf V, A3, Touran and Altea. This last engine is likely to be by far the most popular throughout Europe and the UK. All the diesels are Euro 4 without the need for a limited-life particulates filter, which cuts maintenance costs by about £500 over three years. This even extends to the pleasantly damped way the substantial grab handles pull down and cannot trap your fingers in their hinges; the fact that the vanity mirrors are lit from overhead so they light you rather than just the mirror glass. Someone has really thought about these things, and been given the money to do the job properly. Okay, driving impressions. Time constraints back in September meant I only got to try the 140bhp 2.0 TDI which is likely to account for around 70% of all Audi A4 sales, and the 3.2V6 FSI 7-speed Multitronic, both front-wheel-drive. 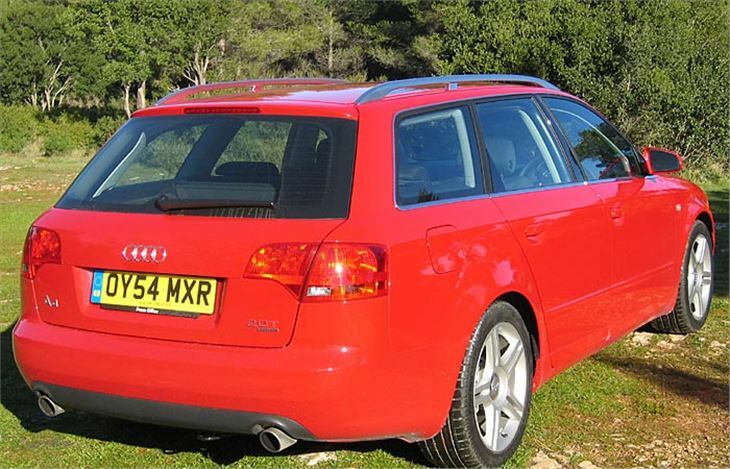 The 140bhp 2.0 TDI suits the car better than some other models in the VAG line-up. It still has a narrow power band, so you need more revs than idle speed to get out of a side turning, then the torque comes in very rapidly, peaking at about 1,750rpm and staying at peak torque to 2,500rpm before tailing off. Power comes in even later with 90% of the bhp available at 2,500rpm, rising to its maximum at 4,000rpm. After that it’s all over and the engine is really at its best between 2,000 and 3,000rpm. So it needs its six gears. In real road conditions it rows along in the same very satisfying manner as the Mk V Golf and A3 with the same engine. The cable gearchange is a bit notchier, though not enough to be obstructive. But just like the VW Touran TDI DSG, it has to be better with an automatic transmission. Unfortunately, the promising TDI 140 Multitronic was not available for testing either in September or November. The main improvement is to the car’s road manners. Instead of being the A4's Achilles heel, ride quality on standard 16” wheels is now very good. And the car grips and turns in without the pendulum effect sometimes experienced in the previous generation car. It’s much more balanced, and that makes it better to drive on all types of road in all conditions. It’s the sensible private buy or user-chosen company car. The 3.2V6 FSI Multitronic most definitely isn’t. Yet, unlike the previous 3.0V6 Multitronic, this one is coming to Britain and it’s one of the best automatics available anywhere to drive. The steering wheel paddleshifts now offer seven selectable ratios, right paddle to upshift; left paddle to change down. And they work like a dream. As soon as you go for it you get the ratio you want. And combined with the impressive 255bhp of the engine, that means serious performance on a twisty road. Now and again I get to drive a car I can’t afford, but I’m instantly very happy with. The new A4 3.2FSI Multitronic was one of those cars. 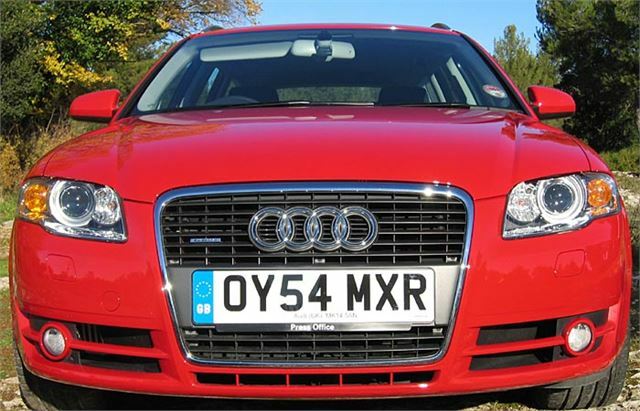 But, if you really like driving, the 200BHP A4 2.0T FSI quattro 6-speed is even better. This combines the sweet, totally lag-free turbo power delivery of the new Golf V GTI with Audi’s longitudinal engine installation and Haldex-clutched four-wheel-drive system. Everything works as a perfect team, and the result is simply stunning. It pulls quickly and cleanly to 120mph. The close-ratio box gives you a gear for every situation you’re likely to encounter and, on a mountain road, the free-revving engine gives a spread of power and speed in third, which is particularly impressive. Dig too deep and of course you get understeer. But the four-wheel-drive looks after you so well it even makes a bad driver look good. On the basis of the five new A4s I drove (and not having driven the new S4, which doesn’t reach the UK until later), this has to be the best-balanced most perfectly sorted A4 ever. Very much the enthusiast’s choice. The 130bhp front-drive petrol Multitronic works well, 7 ratios helping to overcome the relative lack of power and torque. 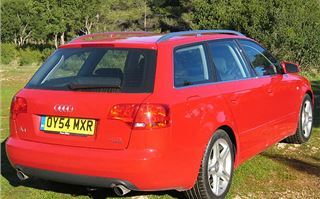 But it’s obviously got to be a lot better, and a lot more economical, with the 140bhp/236lb ft TDI engine. 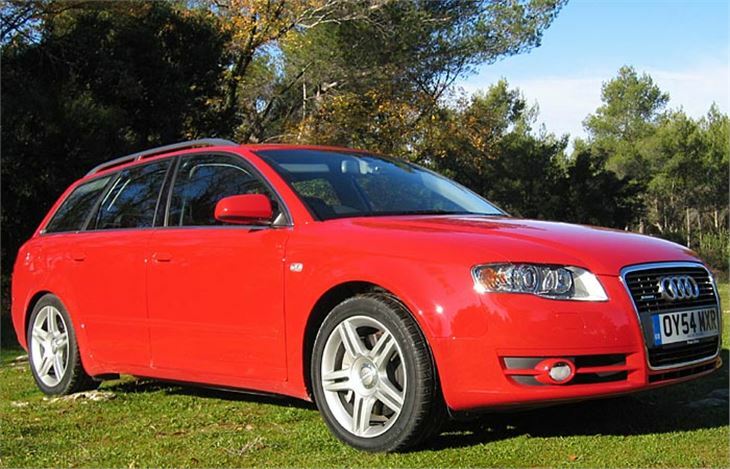 Compared to the A6 V6 TDI quattro Tiptronic, the A4 with the same drivetrain was a bit disappointing. The engine is ‘de-tuned’ for the A4 down to 204PS. The test car did not have any paddleshifts, so the only way to ‘hold’ gears was with Audi’s illogical back-to-front Tiptronic shifter, which I just don’t get on with at all. Left to its own devices, even in ‘Sport’ mode, it slurs its changes too much so you can easily find yourself in the wrong gear on a corner. 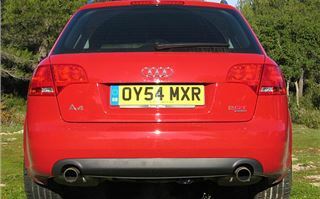 It will still be the A4 of choice for many drivers to whom ultimate handling are less important than a relaxed automatic drive, plenty of poke, decent economy, reasonable BIK and the security of quattro four wheel drive. Maybe if it had the optional paddleshifts I’d have felt different. But car of the range is definitely the 2.0T FSI quattro 6-speed. Runner-up, the 3.2 V6 Multitronic. This is an update. The look of the car hasn’t changed since the 2005 model year facelift. But under the skin Audi engineers have been working on it to overcome criticism of poor ride quality, particularly with the S-Line handling pack. I’d been catching up too. 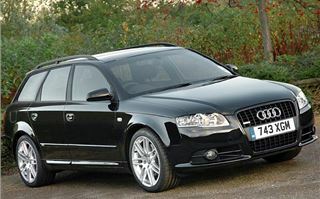 Last summer I drove an A4 TDI 140 Avant Bluefinned by www.superchips.co.uk and had been very impressed by the way that car pulled cleanly even uphill from 1,200rpm. My first impression of the 170 was that it, too, would pull from lower revs without the wait-for-it then sudden catapult effect of the standard 140. On the flat it’s okay from 1,200rpm. On a slight ascent from around 1,400. But two aspects of this car really stuck. The first was that the whole car felt like it had been milled from solid. Not moulded or pressed. Quality seems to have gone up rather than down like it has with every other manufacturer. The second was the ride. This car was the S-Line, on 40 profile tyres. A spec you’d expect to scramble the fried eggs you ate for breakfast and shake all your internal organs like a James Bond Martini. But it didn’t. Apart from very slight, barely perceptible tramlining on uneven surfaces, it was fine. Even over speed cushions. So Audi has finally done it. Possibly using lessons learned on the RS4. 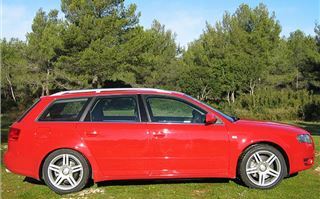 And this A4 TDI 170 Avant is a very worthy competitor to the BMW 320d Touring. Two very different cars. 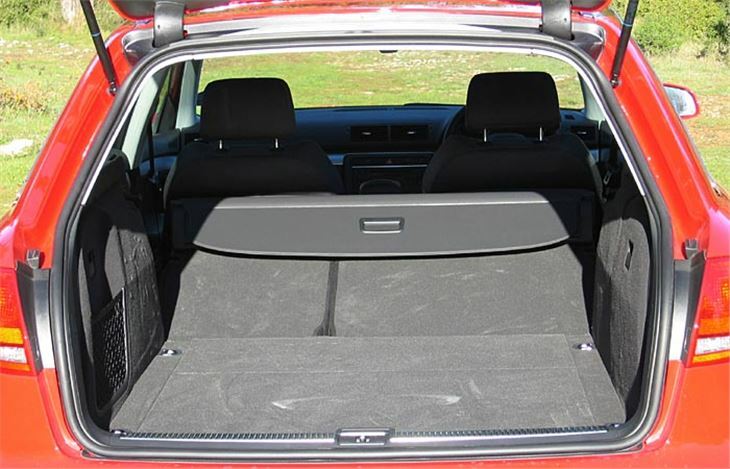 Front drive versus rear drive. Belt cam versus chain. But now very difficult to choose between them as drivers cars.